I worked at a school with children ages 2 to 4 years old from March to May 2018 for five days a week for 4 hours a day. I changed their clothes, gave them baths, gave them snacks, put them to sleep, read books to them, and did various painting and drawing activities. From February to March 2018, I worked at another school where the children were also 2 to 4 years old. I worked here for 25 hours a week and helped with different activities, took them to the park, and helped them change their clothes. 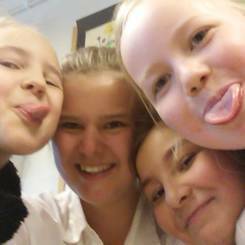 Finally, from June to September 2018, I worked for 25 hours a week at a school where the children were a bit older--6 to 10 years old. My main responsibilities were helping them with their homework and playing with them. Listening to music, talking and meeting new people, laughing, playing with my dogs, dancing, going out to eat, watching TV documentaries about investigation, dancing, and dogeball. I have decided to become an au pair because I like kids and taking care of them. I also really want to know more about American culture, lifestyles, daily routines, and different ways of raising children. Between 2014-2015 I have been taking care of Martin (4) and Gerline (9) I prepared meals for them, bathed them and planed activities for them. 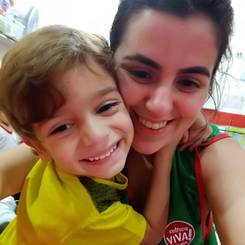 Between 2016-2018 I have been taking care of Eymen (2) and Sabri (5) I prepared meals for them, bathed them, told them stories and helped them with the basic needs. Traveling, going to the theater, swimming, doing yoga, pilates and spinning, riding a bike, driving a car. 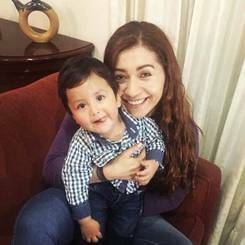 I want to be an au pair because l am always curious about exploring new countries, languages and cultures. Also my communication with children is very strong. I learned a lot of knowledge and skills about communication and human relations at Psychoanalytic course. I take notice of interpersonal relations. For example: 'empathy and listening' are a big factor for solving problems. Therefore, I think that we should be good listeners. I believe doing so will make a positive contribution to your family. Also I am fairly genial and sociable, I can communicate with people very easily. Lastly, I have experience with children with special needs. I watched Valeria (2) from July 2015 to December 2017 for 5 days a week. I fed her, gave her bathes, and played games with her. From September 2014 to November 2016, I tutored Nicole (14). I babysat Evans (newborn) from January to September 2017 on weekdays doing everything from bathing him, to changing his diapers, to feeding him. Finally, I was the teacher of children ages 6 to 12 on weekdays from June to September 2012. I tutored them, prepared meals for them, and taught lessons to them. Trekking, running, singing, camping, watching movies, learning about new cultures, travelling, swimming, and yoga. 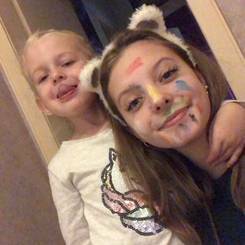 **Can be reached on WhatsApp at (+58)416-932-8595** I really like kids and I enjoy spending time with them. I want to take this experience to improve my English. It's a challenge for me to live in a different country with a new family for a year, but I'm so excited to learn from the American culture. I'm a very patient, dynamic, and friendly person with children. Between 2009-2014 I took care of Alejandro (9), Daniel (5) and Sofia (3), I prepared meals for them and helped them with homework. In 2009 I have been taking care of Juan (9) I prepared meals for him and helped him with his homework. 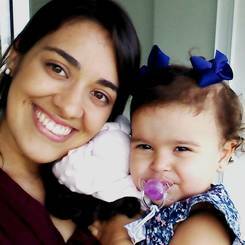 Between 2012-2014 I was responsible for Dayana (1) I prepared bottles for her, changed her diapers, and played with her. Between 2018-2019 I cared for Jacob (1) I prepared bottles and meals for him, changed his diapers, bathed him and taught him to walk. Reading books, going to the cinema, dancing, swimming, hiking, camping, riding a horse, playing badminton, playing tennis, swimming, and going to the gym. 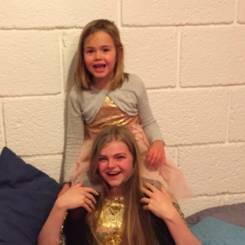 I want to travel as an au pair because I love children and I have the knowledge and experience. I also think it's a wonderful opportunity to get to know the culture and improve my English. 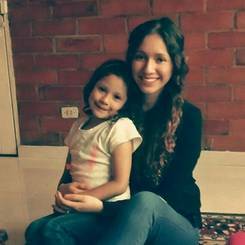 It has always been my dream to live, work and study in a foreign country especially the United States because its culture fascinates me and I know that as an au pair I could have a personal growth and improve my language skills especially with the children with whom I enjoy sharing. I watched Mariana (1) from January 2016 to 2018 for 4 hours on weekdays and 8 hours on Saturday. I had to feed her, bathe her, brush her teeth, pick her up from kindergarten, and make up activities to entertain her,. From January to December 2017, I babysat Juan (12) for about 4 hours on weekdays. 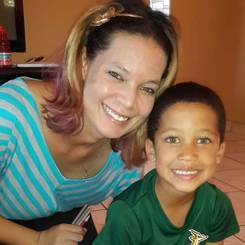 This included helping him with homework, taking him to soccer practice twice a week, and taking him to soccer matches on Saturdays or Sundays. Finally, once a week from October to November 2016, I tutored Daniela (15) where I had to help her review English topics she learned at school. Going to the movies, swimming, exercising, being with friends and family, pets, being outdoors, going to the beach, swimming, riding bikes, and running. 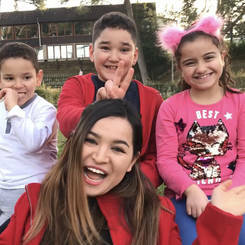 I consider myself a good candidate for the au pair program because I have always had a connection with kids, and I would like to have the beautiful experience of living abroad with a good family to learn new traditions. Additionally, people around me always say that I am a good nanny because I love children. I have learned to make hand crafts like necklaces, bracelets, and other things. I did very well in a swimming course and am also first aid certified. Also, I consider myself good with playing with children.